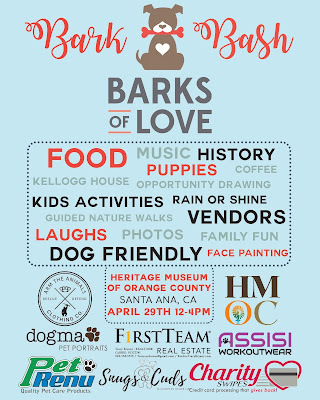 "This is a family and dog-friendly event focused on raising money and awareness for Barks of Love, a 501c3 all-breed dog rescue. Elements of the Heritage Museum will be open and available to guests, including the Kellogg House and Gospel Swamp. This event is sure to delight the whole family with music, food, vendors, an opportunity drawing, kid's activity area, and more! Event admission will include: - Access to vendors - Food Trucks - Music - Access to kid's activity area - 1 opportunity drawing ticket - Entrance into the museum's Kellogg House - Guided nature walk through Gospel Swamp Natural Area - Dog Friendly - Fun for the whole family!! 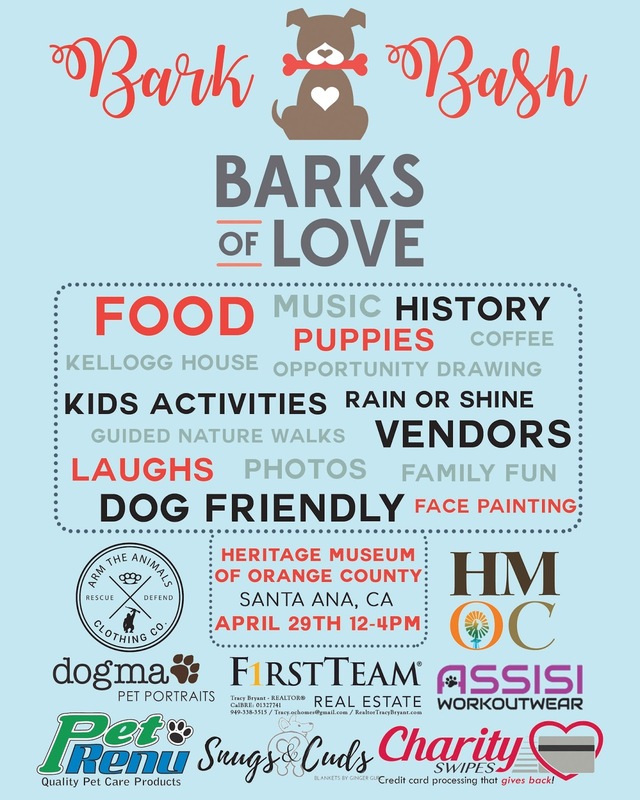 Vendors Include: Totally Handmade Cards, Embyr Oils, Sugar Plum by Kate, Dachs 2 Danes, Inc., Braveheart Beard Oil, BOSSPUP, Doll Face Photography, Frances Greenspan, Jennified Art, Gold & Blue Veterinary Wellness, Hipster Reinvented Custom Signs, Little Paws Pet Boutique, Labrashark, and more! We will be bringing a selection of our Best selling, New products, Cats products and Pet parents products at special event prices.